Custom malas and sacred jewelry for yogis, hippies, free spirits, and seekers of love and truth. You are worthy. You are enough. You are capable and strong. You are ready to live your best life now. Deep down inside you know these words to be true, but often you need a reminder - something that holds your hopes and dreams, connects you to your heart, keeps you grounded, and reminds you to breathe. Little Jay Malas makes meditation beads and spiritual jewelry for the modern free thinker who is committed to a life full of love, abundance, connection, authenticity, and joy. I put my heart and soul into making malas that are not only beautiful, but serve as an integral part of your daily life through your meditation practice. Little Jay Malas supports a spiritual way of life - a commitment to living large without getting sidetracked by fear and limitation. Little Jay uses the highest quality precious and semi-precious stone when crafting malas and sacred jewelry. Each and every piece is versatile enough to go from your morning meditation to the centerpiece of your outfit for day or night. 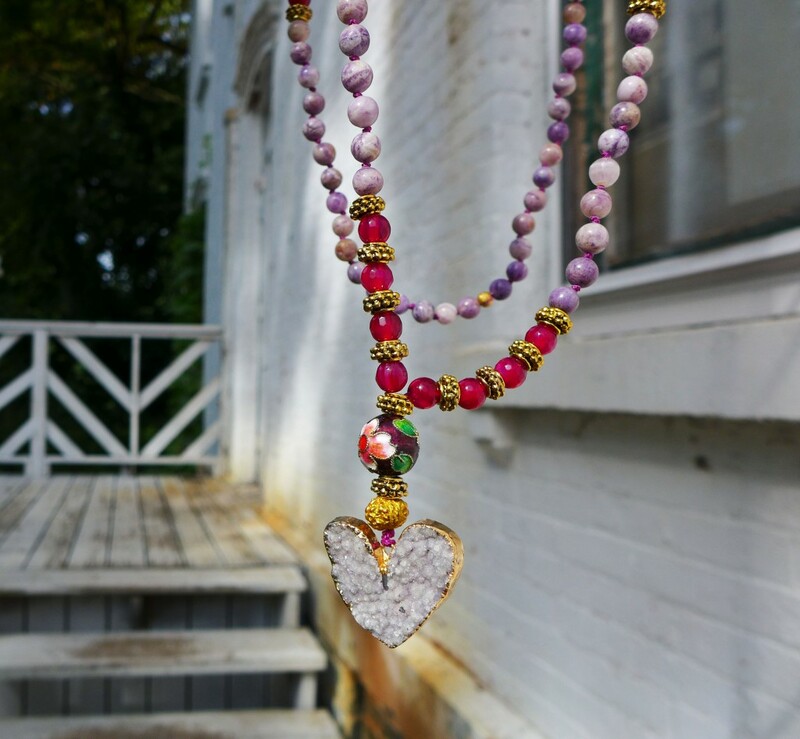 Every mala is hand-knotted with love and a blessing and is ready for you to infuse with your highest intention. Drishti: Put your attention on the things you want to TRANSFORM! In yoga we learn that our Drishti, our focus or gaze, is a means for developing concentrated intention. In other words, to make change happen in your life you need to set your eyes to that change! Little Jay Malas gives you a tool to get your goals out of your head and into action... Set your Drishti and become powerful beyond measure.